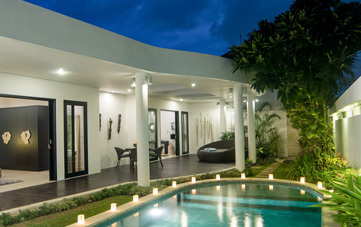 From $ 261AUD per night We have direct contracts with most villa owners. We don't add any booking fees. We are 100% transparent with no nasty surprises. 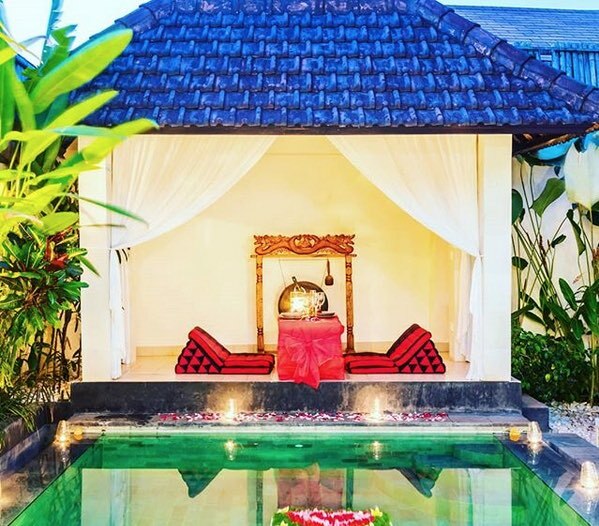 If you love shopping, great restaurants, cafes, yoga studios and being in central Seminyak then this is a great option, especially for small families or 2 couples. 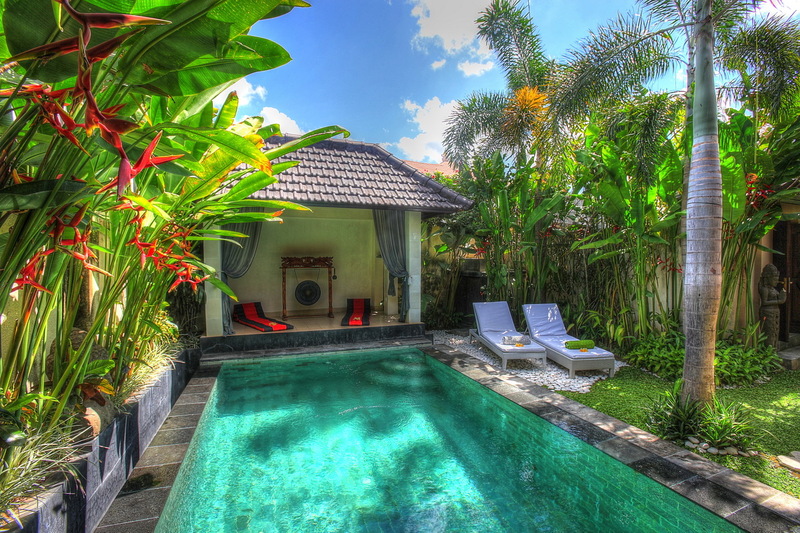 Looking for an affordable 2 bedroom Seminyak holiday villa rental in a quiet location just a short stroll to all the cafes, boutiques, day spas and restaurants? 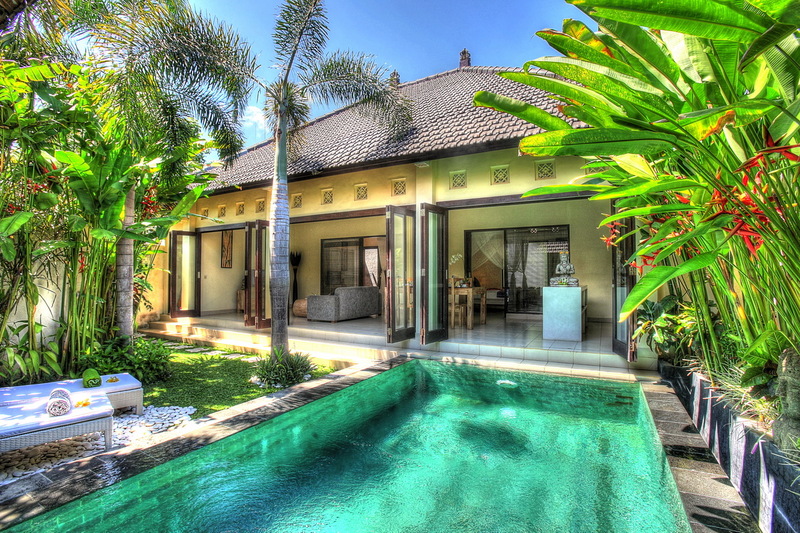 Look no further; Villa Delice is charming villa with tropical gardens, a private pool and all the modern amenities you will need for a fantastic Bali getaway. 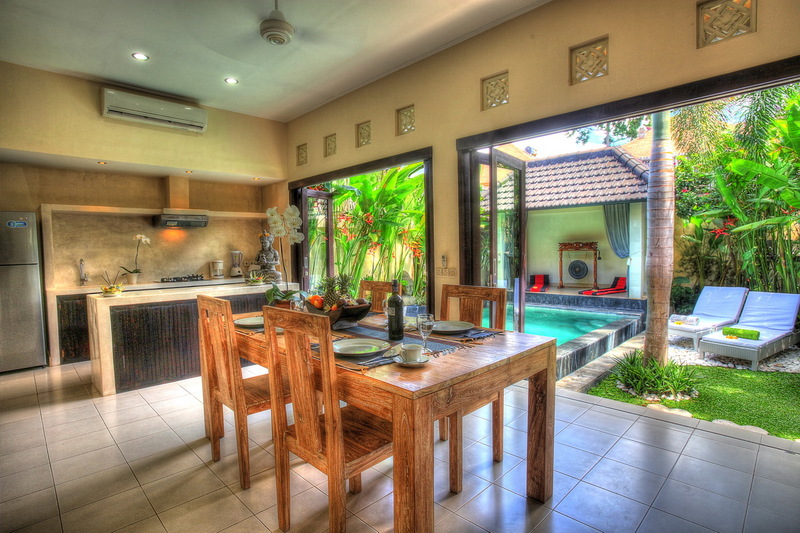 Bali Deli is nearby (where you can stock up all your holiday supplies, alcohol and goodies), with ATM’s and everything you will need to bunker in and enjoy your Bali villa time. 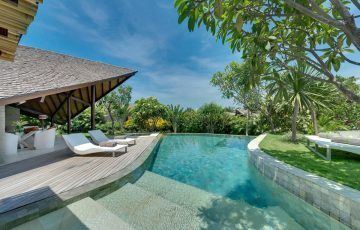 The lush tropical garden is full of exotic greenery, the infinity edged pool tiled in natural local stone offers a chance to cool off in the warm Bali sun after a morning of exploring the locale area. 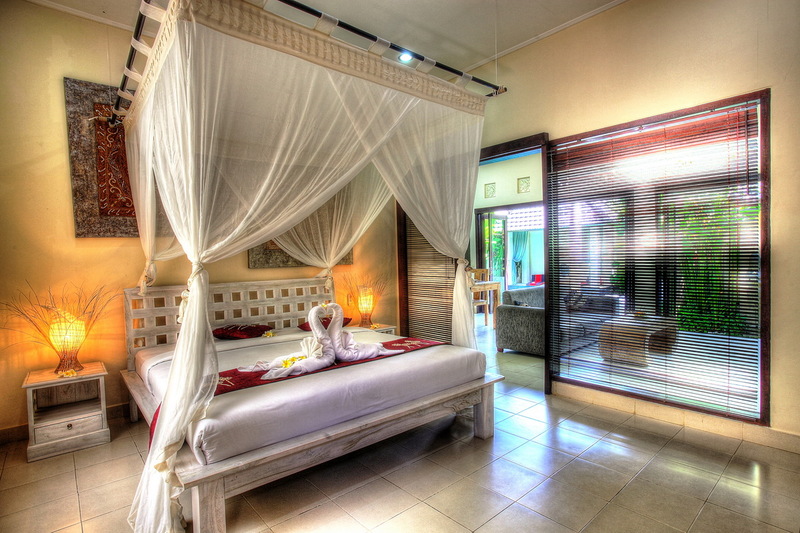 This is what you’ve been waiting for, the chance to soak up the sun and completely relax in your own tropical hideaway away from the world. 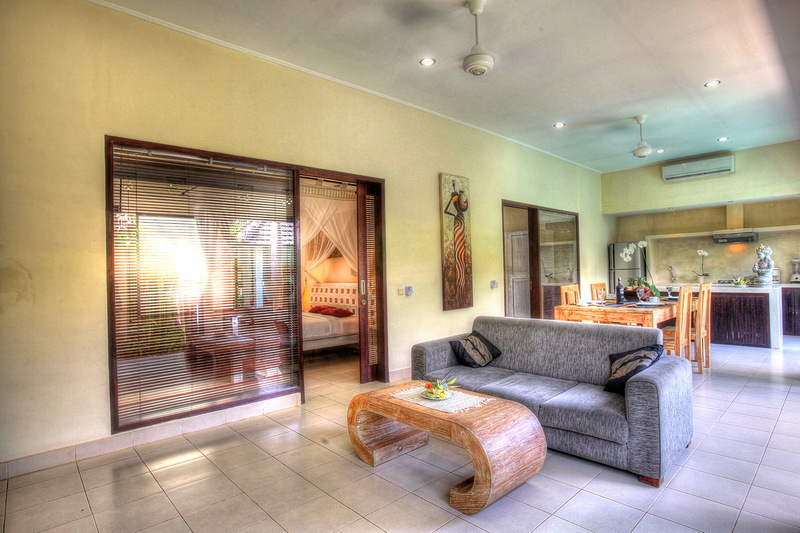 The interiors provide guests with plenty of space and all the creature comforts to relax and enjoy holiday time together. 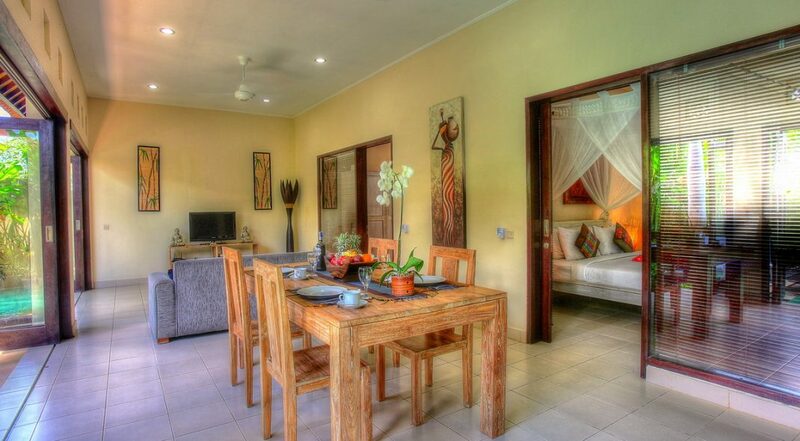 Whether its enjoying a dinner or lunch prepared by the chef of local seafood delights, or just relaxing in front of the TV with cable channels, Villa Delice has it all. 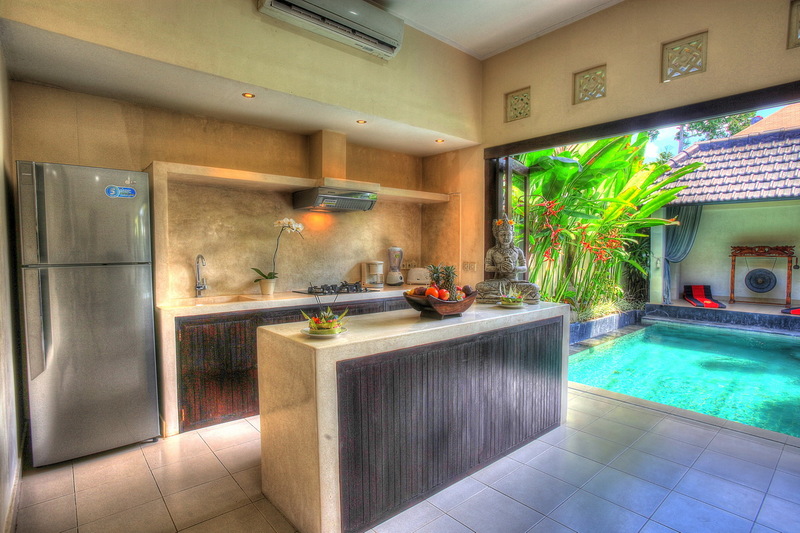 The kitchen is well equipped with appliances to satisfy all your culinary needs. 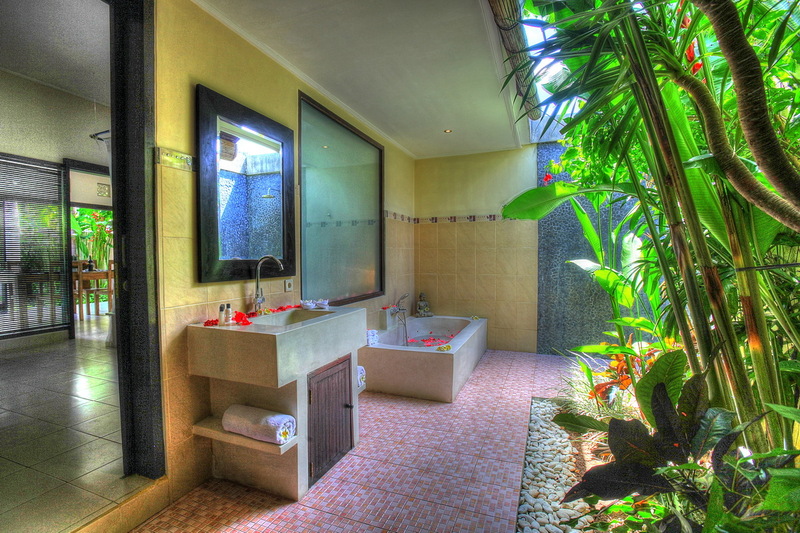 Each of the 2 bedrooms feature comfortable king sized beds while the en-suite bathrooms offer a chance to unwind in a large soaking tub or shower under the skies amid a lush tropical garden setting. 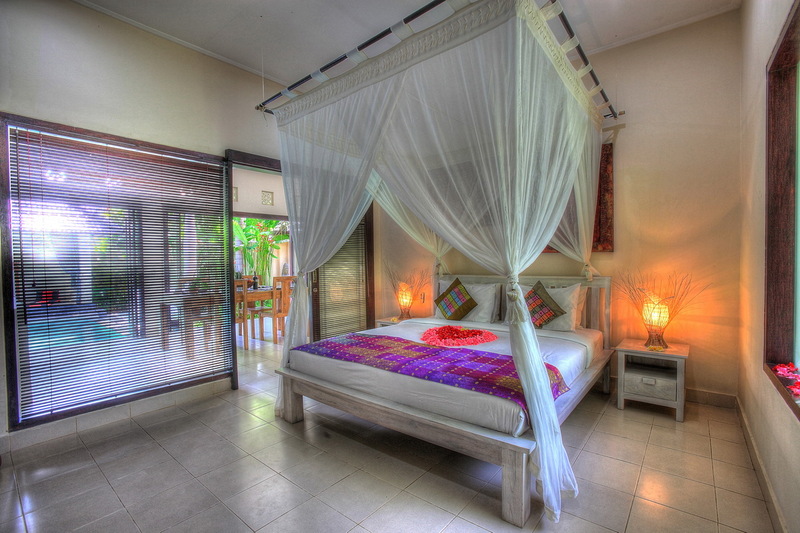 The beds are draped in mosquito netting so your guaranteed a restful nights sleep. 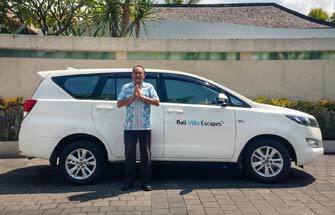 The staff are professionally trained with years of experience taking care of guests from all over the world, they are also fantastic with kids. 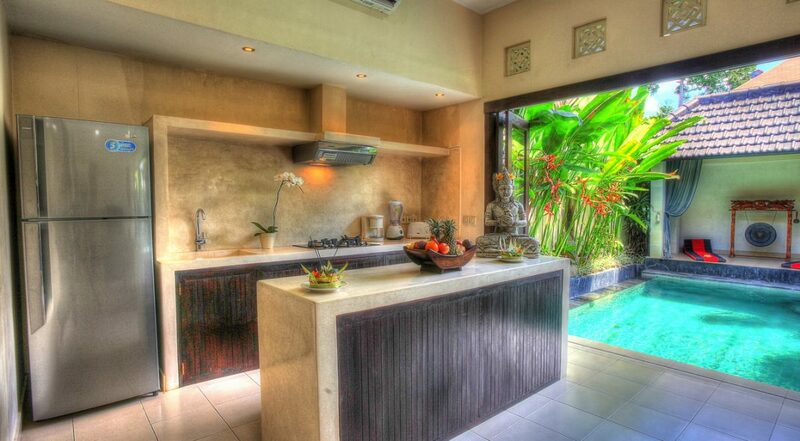 Each morning breakfast will be ready for you as you set yourself for another day in paradise. Don’t hesitate to ask for directions around the local area or asking for assistance to book transport or day tours. 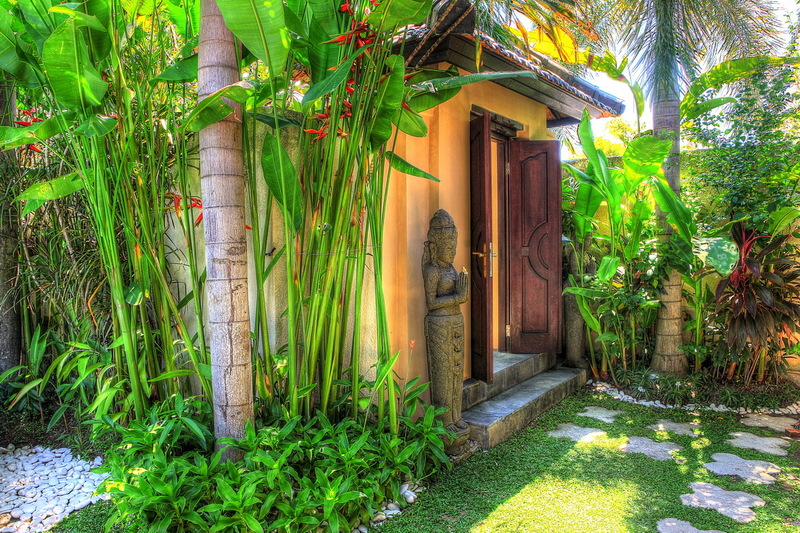 Just 200 meters from the villa you will find Bali Deli with a great selection of imported goods and produce. Warung Italia is nearby for great casual dining and there is also great Mexican and Japanese at Ryoshi which is also nearby and a local favourite. For some fine dining options nearby try Sip Wine Bar, the uber hip Mama Sans and Marlos for some very affordable imported steaks. If you craving a coffee hit make sure you head to the famous Revolver Cafe or Monsieur Spoon ( opposite Seminyak Village) where you can also get fabulous pastires & croissants. 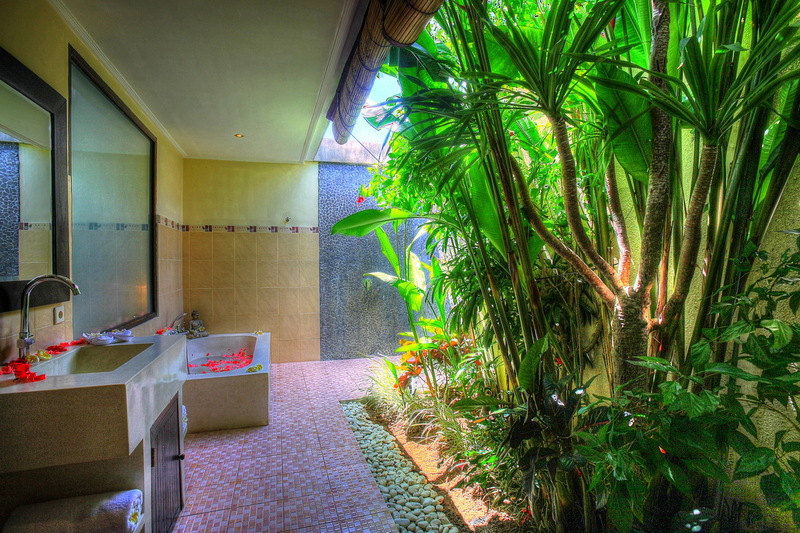 If your a vegan make sure you head to Kynd in the Oberoi area and follow if up with a yoga session at Jiwa. 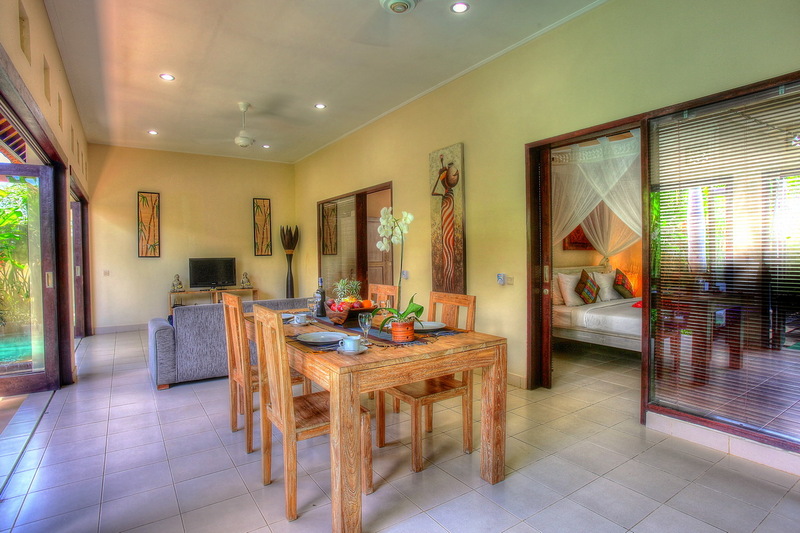 You will never run out of dining options when staying at Villa Delice. If your coming here with kids there are heaps of family friendly restaurants all within easy walking distance. 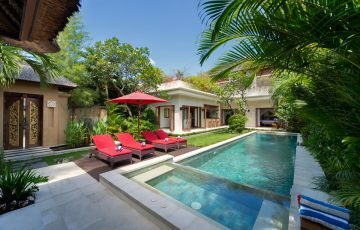 To see other budget friendly family friendly Bali Villas or our range of 2 bedroom Seminyak villas please browse this website or contact our reservation team. 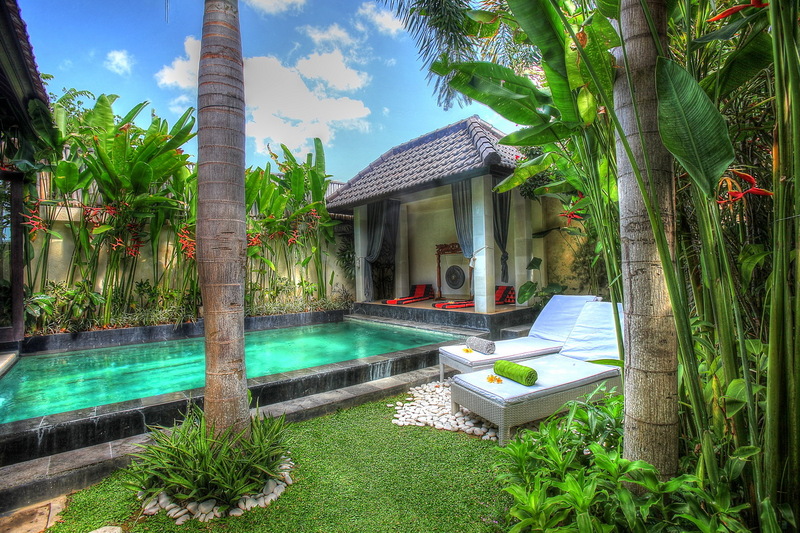 This is a popular Seminyak villa so if your planning a holiday to Bali, especially during the Australian school or public holidays please book Villa Delice well in advance. 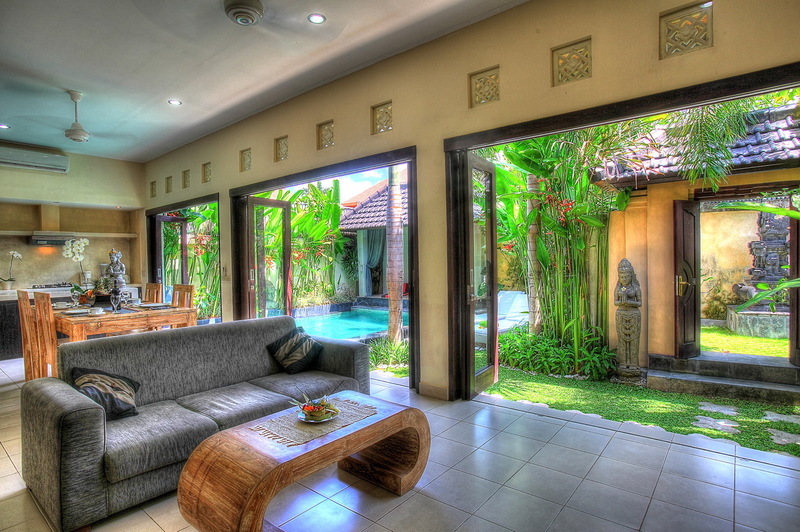 We were really surprised by the great value that this villa represented. 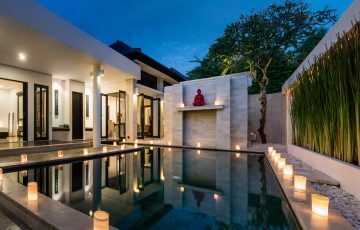 The position in relation to the restaurants and shops in Seminyak meant that we could spend the days looking around fabulous shops and come back to a very peaceful and quiet villa for the night. 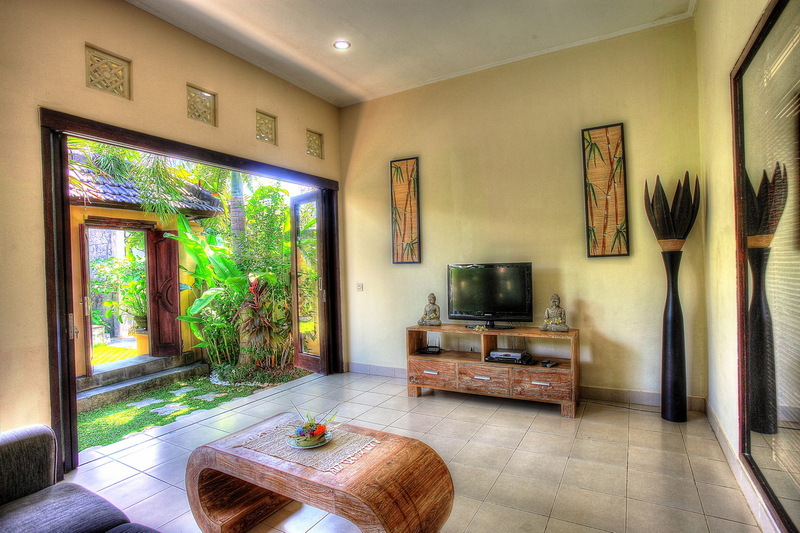 Everything about the villa was clean and perfect for our holiday needs. 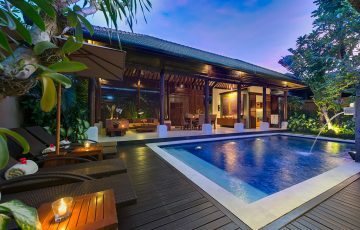 A great villa at an extremely attractive price point. 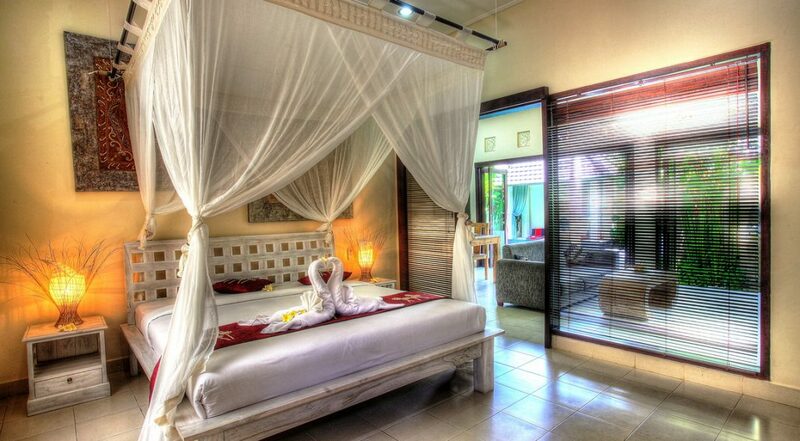 Fantastic value for money and well worth a stay in this very convenient location. Staff were very friendly, helpful and cooked the best breakfasts for us. 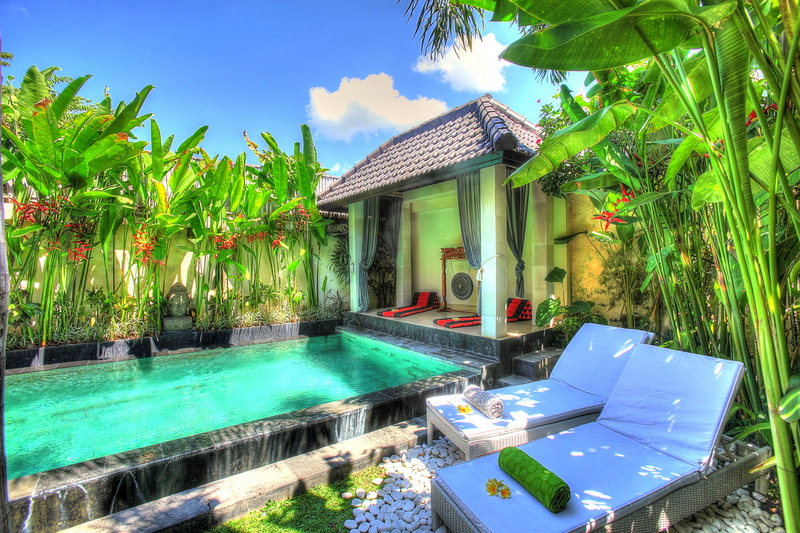 The pool area was lovely and we just enjoyed being in this tropical oasis. 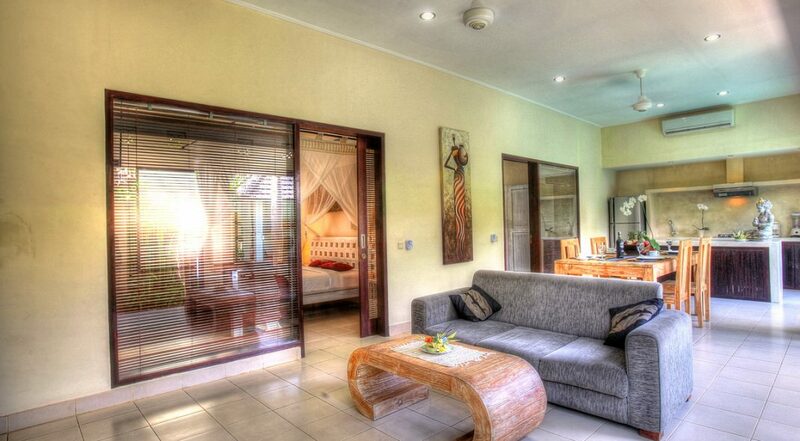 I would recommend this villa for anyone wanting a quite, well serviced villa that's centrally located. 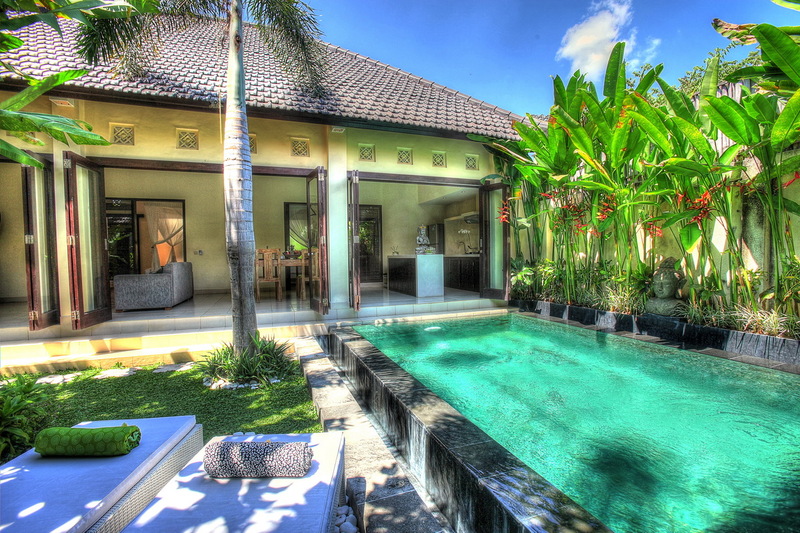 We come to Bali regularly and are always on the look out for villas that are in Seminyak that we can afford. 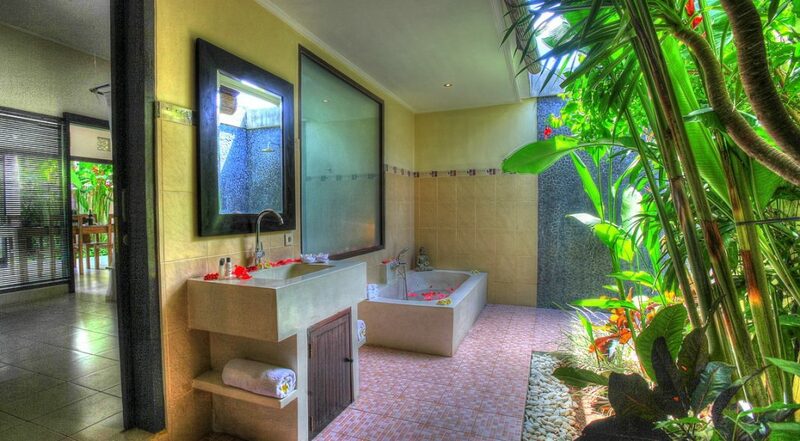 Villa Delice is fantastic and just what we wanted! 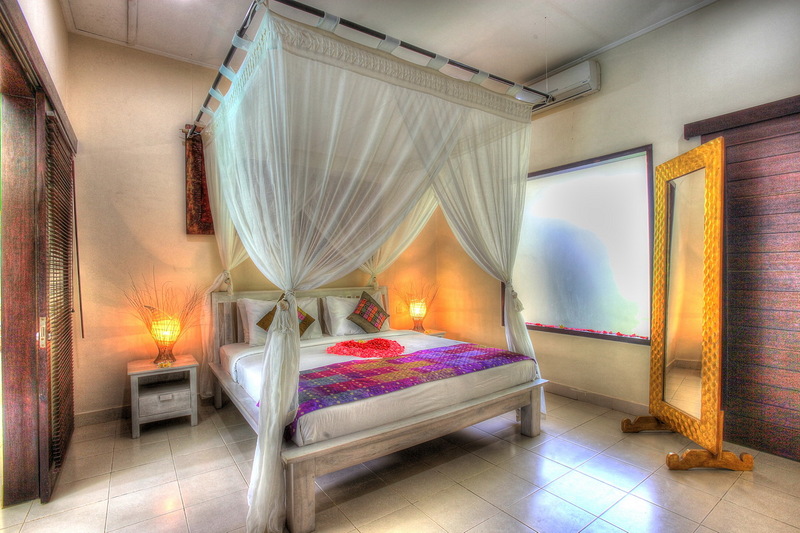 It was cleaned daily by the friendly and smiling staff who made sure the rooms were spotless. Location was ideal and perfect for us as we do love to shop and eat out every night - we highly recommend staying here and we will be back. 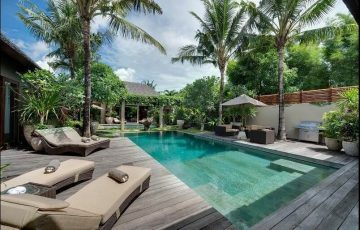 One thing to note as well is that although it is in the heart of Seminyak it's still very quiet - you will not hear any outside noise. VILLA DELICE was sensational. My family & I ( there were 3 of us) had a great time. Kadek the manager were very nice and was really helpful in organising dinner reservations and tours - we went 1 day to Ubud. 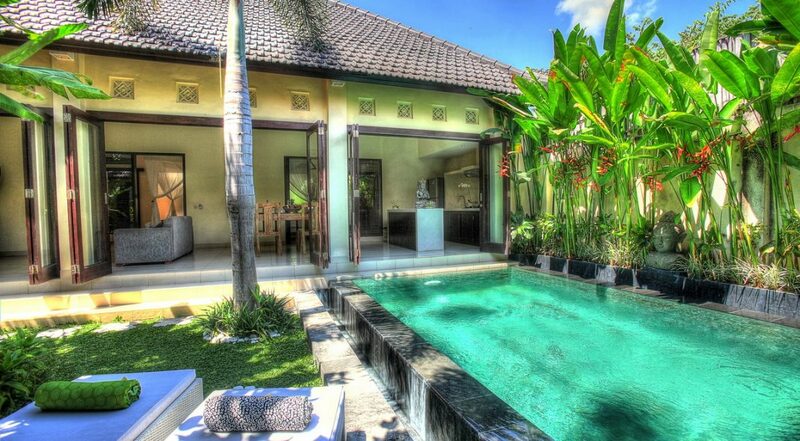 I would most definitely recommend this villa to anyone looking for a place to stay in Seminyak with a tiny bit of luxury thrown in. Outstanding value that's all I have to say!! Such a convenient location.